Welcome to the FC Nantes official forum. We are pleased to open a small English section for our international visitors. You can register here :https://forums.fcnantes.com/ucp.php?mode=register and please check the forum rules there https://forums.fcnantes.com/viewtopic.php?f=54&t=76457 before posting. Unfortunately, registration and rules are in French, but I guess google/bing translate can do a job. Hi, Cardiff fan here. I’m so sorry about Emiliano Sala. We were so looking forward to seeing him play for us and are all devastated about his loss. But as much as we are hurting, he was still more Nantes than Cardiff. We are twin cities, now more than ever. So, so sorry for you all, especially anyone who was close to Emi. You wouldn't believe how much this has hit us at Cardiff and I can't imagine how you guys must be feeling with your connections to him. 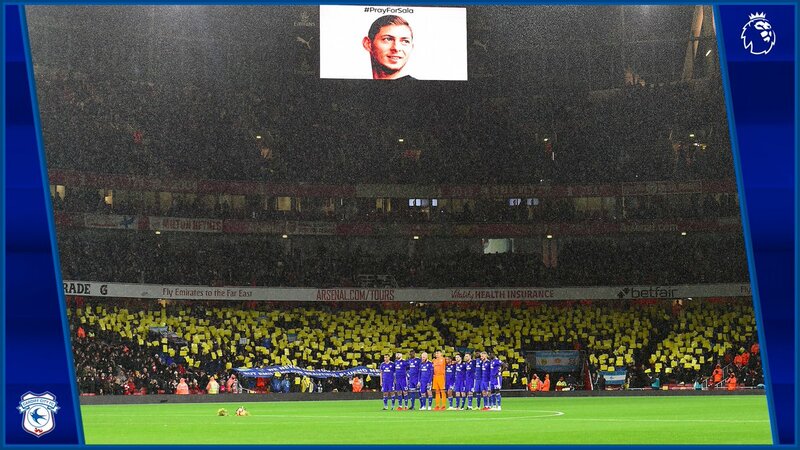 I'm sure I can speak for the Cardiff family in sending you all the love and compassion possible. TH63 a écrit : Hi, Cardiff fan here. I’m so sorry about Emiliano Sala. We were so looking forward to seeing him play for us and are all devastated about his loss. But as much as we are hurting, he was still more Nantes than Cardiff. We are twin cities, now more than ever. Owwww, welcome here, and thank you for your message. It's such a difficult time right now, and hard to cope with. Emi is (was ) a perfect teammate, he gives everything he has on the field, always running, always giving his best. His disappearing has been a complete tragedy for us, and we're into so much pain. He's such a nice person, always a smile on his face, why did it have to be him ? Anyway, as your president said, we do know him more than you guys do, but still, he was one of yours also and you being so compassionate is a real help. Thank you, I was really surprised when I found out there was Boulevard de Nantes in Central Cardiff. Lovely City full of history with a busy train station. Great initiative and good opportunity for international fans to come and comment on our favourite team's news. Thank you for the invite and again sorry for your loss. Such a tragedy. I've been to Nantes a few times and go regularly to Vendee region. It's a beautiful part of the world. We have another thing in common between our two clubs as well. Fabio Da Silva. He played for us and was popular among the fans for always trying hard and attacking from defense. Good luck in your next game against PSG. I'm sure the next few games will be emotional for you all. Thank you for your kind words, it's heartwarming, really. During these few days we felt like no one could understand our pain (some friends and/or family couldn't understand). Really nice to see an FC Nantes scarf as well in the middle of the away end. Thank you for your support, guys. And for the Cardiff City fans who came to Nantes tonight. I do not speak English. So I can not take advantage of this topic. Joecity, You speak a good french ! Yes. We are forever bound now. Football is the best but solidarity among men is better. Our cultures are not so different. Some of the best people I have met come from Vendee region. Interesting and diverse. I admire the French. You all stand together. Most people in Wales can't even say it. They just say Llanfair PD. You can all have a friendly walloping tonight in Rugby as well. I prefer football but I like Wales to win in everything. So tonight and only tonight I hope you get beaten. How is every one doing there? Hope you are all well.W hen I go to Vendee next I will try and watch Nantes. It takes 11 hours to drive Cardiff to Nantes.Most of this is in Britain where the roads are always full of traffic.